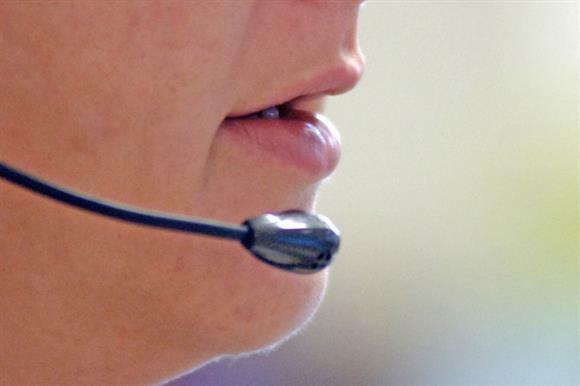 Charities and fundraising agencies that call existing donors who are also registered with the Telephone Preference Service are in breach of the Privacy and Electronic Communications Regulations and could be subject to enforcement action, the Information Commissioner’s Office has said. Speaking at a telephone fundraising summit hosted by the Fundraising Standards Board and the Institute of Fundraising on Friday, Judith Jones, government and society group manager at the ICO, and Ian Inman, its policy delivery group manager, told delegates that organisations that seriously breached the PECR could, in extreme cases, face penalties of up to £500,000. In their presentation on Friday, entitled "Fundraising: data protection and electronic marketing rules", Jones and Inman said the only way charities could legally contact supporters who were on the TPS was if individual supporters had specifically told them they did not object to their calls. The ICO appears to be taking a more robust stance than in 2010, when it issued guidance saying fundraisers could make calls to supporters on the TPS if they believed the supporter would be unlikely to object to such calls. A senior data protection practice manager at the ICO said at the time that the organisation would not investigate technical breaches of the rules unless they generated complaints. The message on one of the slides in the ICO’s presentation at Friday’s summit was: "Charities must follow the same rules as everyone else. You must ensure consent is specific, informed and freely given by the individual. Consent should be demonstrated by a positive indication of choice." The slides also said that a donor’s consent would be unlikely to be valid if it had been given in a situation where the person had little realistic alternative but to give it; if they did not know specifically what they were consenting to; or if they had not been given a prominent and clear explanation of what they were agreeing to. The ICO representatives said at the summit that it was "best practice" for fundraisers to adopt an opt-in system for their phone communications. They also said fundraisers should not telephone supporters to clarify their position on being contacted in the future because the underlying intent of such a phone call would be to direct-market to the donor. The ICO said this permission could be sought by writing to donors instead. There has been uncertainty among fundraisers about the lawfulness of contacting existing supporters registered with the TPS since the Daily Mail published an investigation last month alleging that the now-defunct fundraising agency GoGen had been exploiting loopholes in the TPS rules. The ICO said it would investigate potential data and privacy breaches at GoGen and at the British Red Cross, Macmillan Cancer Support, the NSPCC and Oxfam, which were all implicated in the story. The confusion in the sector escalated after a representative from the ICO stated on BBC Radio 4’s Today programme last month that it was appropriate for fundraisers to contact existing supporters who were registered with the TPS when they had given explicit consent. Many fundraisers were unsure how explicit the consent needed to be, which was a big part of the rationale for the decision to arrange last Friday’s summit, which was not open to the media and was held under the Chatham House rule. Asked for its position on charities marketing via electronic means, such as email or text, a spokeswoman for the ICO told Third Sector that an opportunity for people to opt out needed to be provided on each text and email.